Country Store and Catering, Inc. 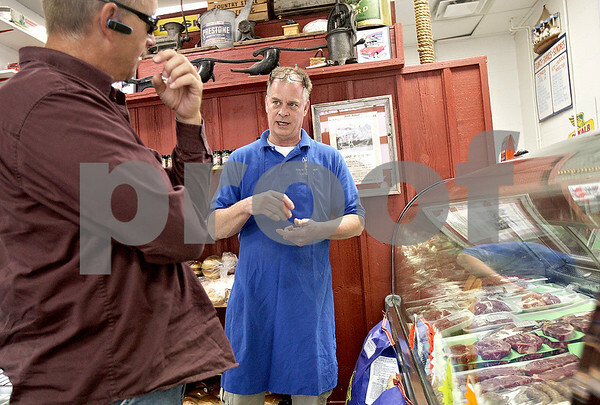 Owner Tom Ulrich talks to a customer about the specialty bratwursts made in the Sycamore store. Ulrich offers ready-for-grilling meats, salads, desserts, take-out and dine-in orders.